Bali Spa It has chain stores in Tokyo, Tochigi, and Ibaraki, Japan. Aroma Talk manages spa in Bali, “Aroma Talk Alam Jimbaran". 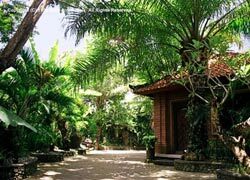 Built on the hill which can command a whole view of a sunrise and a sunset, natural mangrove forest, and there are natural furniture and high quality sevice. There are the flower bath, oriental fragrance aroma, and the massage room with gentle wind and songs of birds. Detox with Balinese Natural Herb!! HAMAM is a Medical Steam Bath with Indonesian selected medical herbs. A meal time is not include 4 hours treatment. Normally we serve it after finish treatment but we can serve before treatment. Please inform us in advance. After warm up your body by the steam, starting Balinese massage. It promote flow of a lymph and remove the swelling. Then Facial and Cream bath followed Body cleansing massage using pearl scrub and remove old horny. Crystal call is polish your full body just like a Crystal. 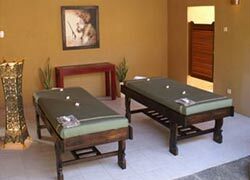 It is purification massage called "Avianga" by two therapist. At beforehand counseling, we make original medical oil especially fit for you. It helps eject waste matter(Aama) from the system. 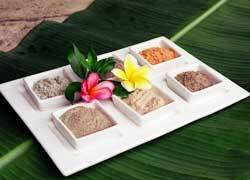 This is medical massage for detox which using blended medical oil follow by dosha (wind,fire,water). You will have refresh feeling after treatment. 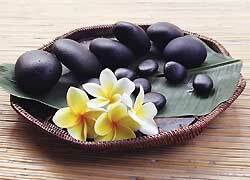 It is aromatherapy full body massage using Hot stones. The combination of Hand and Hot stones lead you relaxation. The stone collected at bottom river or sea in Bali. It is purification massage was handed down India. It is effective in getting rid of swelling or stiff neck. The combination of Strech, Acupressure and Oil Massage. It promote blood circulation. It is Balinese style hair spa. 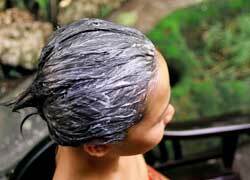 Special cream made of fruit, vegitable or Harb coated your head and massage your scalp follows shampoo. Then warm up scalp by steam and the same time take neck, shoulder and arm massage. We prepare to natural cosmetic for Oily, Normal and Dry skin. 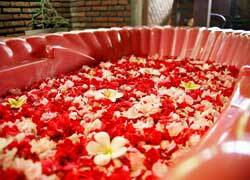 It is a bath that you can take only in Bali. There are plenty of fresh petal in the bathtub. You can enjoy luxury bath time in the open terrace without worry since we check each petals in advance. It leave only necessary oil and lead your skin smooth and lustrous. Pickup free from the Nusa Dua, Jimbaran, Kuta, Sanur, Seminyak, Kerobokan district. 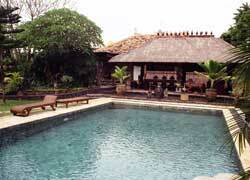 For Ubud & Tanah Lot with extra ＄20/ car for 1 person and ＄15/ car for maximum 6 people. Children can wait at lobby or treatment room during parent's treatment. There are menus for children age over 14. I took this menu because it has a unique name, and the treatments of this menu were also nice. Especially, the spice herb ball was great, and at last milk bath that moisturized my skin.